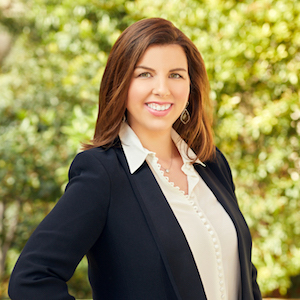 A fourth generation Realtor and seventh generation Texan, bringing prior business transactional experience and a background in design and marketing, Alison offers her clients an outstanding level of service. Alison’s career in real estate started very early, her freshman year of high school to be exact. She began working working for Reunion Title and learned first hand the importance of well executed contracts. While attending The University of North Texas, where she received her BFA in Design and Marketing, Alison had the opportunity to work as a private jet flight attendant. An attitude of service was honed from that experience and allows her to relate and cater to many different clients needs in a discreet and timely fashion, telephone and email access are always in hand. She began her post collegiate career in the Oil & Gas industry working in mineral investments and exploration operations in Texas, Colorado, and Utah. This negotiation and management experience in conjunction with her design aesthetic and out of the box marketing mentality makes Alison an unsurpassed choice for anyone ready to purchase, sell, or lease a home. In addition to her business responsibilities, Alison is passionate about supporting the community through Alpha Gamma Delta and DFW Vitiligo Group. She also enjoys serving as Chapter Secretary for James Campbell Chapter NSDAR and had the opportunity to represent Texas as a page at the 126th Continental Congress in Washington D.C.
Alison currently resides in Northwood Hills and enjoys road cycling, golf, sewing, genealogy research, and spending time with her husband and favorite real estate attorney, Brady.